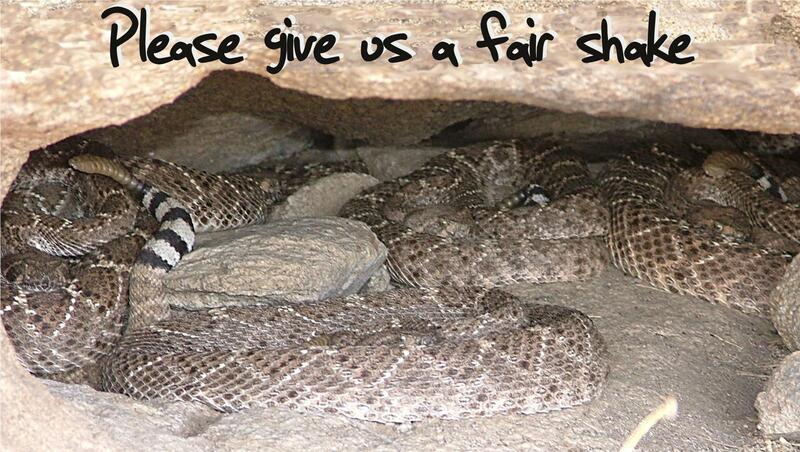 Have we changed the way you view snakes? Let us know! At Social Snakes, our mission is to unravel the mystery of snakes to foster compassion and promote snake conservation. We tell stories and share videos of snakes’ true behavior in the wild, with a focus on surprising behavior that is relatively unknown and apealling (sociality, parental care). So, is it working? Maybe you loved snakes before you found us, but if not, and now you do (or maybe dislike them a little less), we’d love to know. We’ll feature your responses on the website and our Facebook page. Send us an email, tweet, comment on this post, or our Facebook page. THANKS FOR HELPING US HELP SNAKES!! !